Planning to get back on track in 2013. 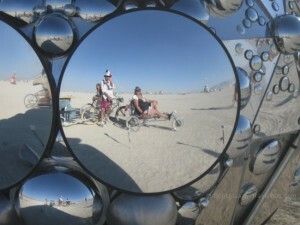 The Travelinas reflecting on our future while at Burning Man 2012. It happens all the time: You get online to look up something — say an address — and then can’t resist checking into Facebook or clicking on a link or a photo that draws you away from your original goal. Before you know it, an hour has passed and you’ve watched ferrets playing ping pong, learned how to play bongos and know why Scarlett Johansson got divorced. Of course, you still haven’t found the address. That’s how the past two years have been for the Travelinas. We saw a glittery object and chased it — in this case Burning Man. It was great, we have no regrets and in fact it’s been life changing. Burning Man became part of who we are (or we were already Burners and didn’t realize it). We want to go every year. We want to go to the regional events and continue being part of the Burner community. But that takes time and money, and we realized it’s been a distraction. 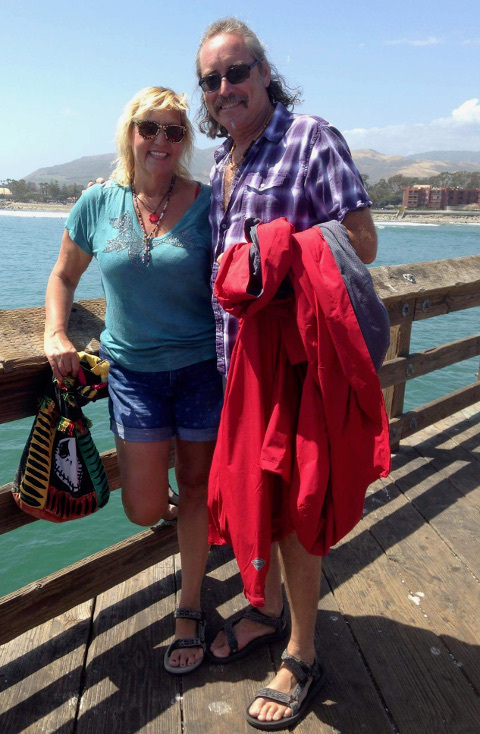 Other than a quick trip to northern Mexico, we haven’t been out of the country in over two years. If all you do is Burning Man, you’ll never have time for anything else. We also bought a 28 foot Class C motorhome at the end of 2011. Our plan is to travel the U.S. in that as much as we can, while I work online. That has created its own set of distractions. We want to continue traveling to new places and enjoying new experiences. So we are dedicating 2013 to getting back on track. We won’t be buying Burning Man tickets when they go on sale in February (ouch…that was hard to write) but we will continue to be part of the Burner community. And we will pay off debts that resulted from the motorhome purchase. And of course, we will work on traveling somewhere new and foreign … whether it’s India or Alabama.